About a half hour north of Louisville, KY is a strip of land known as the Devil’s Backbone in the Ohio River. It was once a thriving tourist attraction near Charlestown, IN that brought in visitors by the boatload. 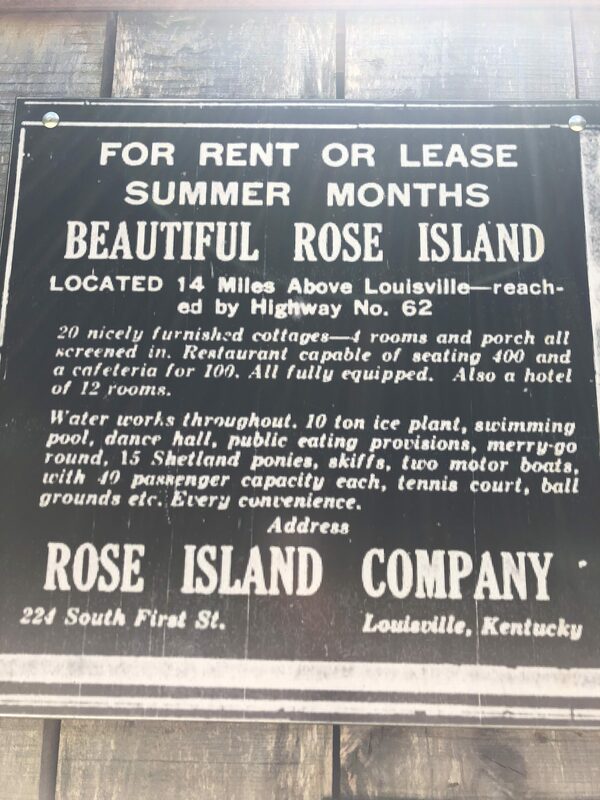 Today, it’s hard to believe anything was built at Rose Island let alone guest cottages, a grand hotel, and even a zoo. To discover the abandoned amusement park, visit Charlestown State Park and take one of the walking paths (paved or trail) to a bridge that crosses onto the “island,” which is actually a peninsula. In the 1920s and 30s the park attracted 135,000 visitors annually, mostly up by steamboat from Louisville. People would visit for the day and even stay overnight enjoying a café, entertainment, and even the first filtered water swimming pool in the Midwest. Between the Great Depression and Great Flood of 1937, however, the park closed and virtually nothing remains. There’s an easy walking path around the park with abandoned and decaying structures that serve as reminders of another time. 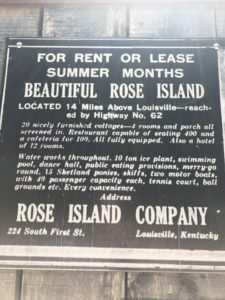 If it weren’t for the plaques distributed throughout Rose Island, visitors would have little idea of its history as nature has reclaimed most of the area. So if you visit, enjoy a stroll in the park of today, but try to imagine the mecca of tourism that it once was.